European Week Against Racism – Get Organised and Let Us Know! Organising an event for European Week Against Racism? If you’re organising an activity for the European Week Against Racism, Let us Know! Please answer the questions below, email them back to us at enarireland@gmail.com and we will include it in our online Calendar of Events! Your action might be large or small – the important thing is that you Speak Out Against Racism! 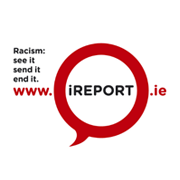 European Week Against Racism centres on International Day Against Racism and is co-ordinated in Ireland by the Irish Network Against Racism (ENAR Ireland). This Year, the focus is on Speaking Out Against Racism. March 21st is International Day Against Racism, a day when the people across the globe show their opposition to racism. This annual event declared as a memorial by the United Nations in response to the murder of 69 anti-apartheid demonstrators in Sharpeville, South Africa, in 1960. Get organised and let us know! The Irish Network Against Racism is a national network and the Irish Coordination for the European Network Against Racism.